Does Zelda Breath of the Wild Really Work? When it comes to choosing game consoles parents usually rely on what the kids want. The kids will form their opinion based on different factors. One of these may be the type of actual games that are available that can be played on a specific console. A good example of this is the popularity of Zelda Breath of the Wild. Zelda Breath of the Wild is one of the latest releases and an extension of the original Legend of Zelda that was released in 1986. Parents often worry about the violence that occurs in many of the video games that the kids play. Zelda Breath of the Wild certainly has its level of violence but on a different level. All of the foes consist of monsters where the star of the game is Link who is setting out to free the kingdom of Hyrule. The game is comprised of action along with a large collection of adventures and puzzle solving. 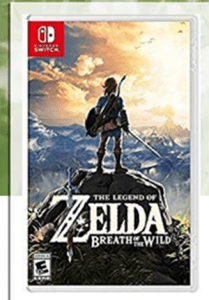 Zelda Breath of the Wild is predominantly linked to the Nintendo brand and is now one of the favourite games linked to the newer Nintendo game console Nintendo Switch. The hype around the Zelda Breath of the Wild is that it is an extension of all the fun and adventures that the original Zelda presented. It is not a game that the kids will master quickly and there are add-ons that can be enjoyed as well once they have mastered it. Depending on where you purchase Zelda Breath of the Wild it can be bought for $55.99. Commitment on behalf of the parents means realizing that the game is rated as fantasy violence. It is difficult to find a popular video game that does not contain some form of violence. The commitment on the player’s part comes down to being ready to face some real challenges that this game presents. It should also be kept in mind that Zelda Breath of the Wild is not just a game that is enjoyed by the younger generation. There are many adults that are into this game all the way up to the senior level. The evaluation that comes with this game is taking notice that while there is violence, it is not all about using heavy assault weapons and bloodshed. The violence comes in by using a variety of different types of weapons and destroying the evil monsters that are creating havoc in the kingdom. Much more emphasis is put on the problem solving throughout the game. Instead of having to fight monsters all the time to achieve a goal players have to find other ways to reach their goals. Some of these require skills for timing and for making the right choices of various types of equipment. We would be remiss if we did not give Zelda Breath of the Wild a thumbs up rating. Out of 2,910 reviews, it has received a 4.8-star rating. This is hard to argue with. Not to mention that the graphics are exceptionally well done. If you are going to invest in Zelda Breath of the Wild, then you will also need to invest in Nintendo Switch. What do you think? Does Zelda Breath of the Wild work or not? Does the Fire Kids Edition Really Work? Does Digi Tech Really Work? Does Netatmo Welcome Really Work?